News of his death prompted a host of tributes from people he had worked with over the years, many of whom had treasured memories of a man whose outwardly gentle demeanor was matched by an inner determination, true professionalism and strong principles. John set up his company John Greasley Ltd in 1985 and from humble beginnings established it as one of the industry’s leading course design and construction specialists with clients across the UK and Europe. John’s first job under the new business, in conjunction with architect Martin Hawtree, was hardly glamorous – a nine-hole course on a reclaimed chemical tip in Widnes, Cheshire, for Halton Borough Council. Yet its success, completed in the year the firm was established, set the tone for a long line of high profile future projects. John Greasley’s list of satisfied clients is as long as it is noteworthy, with some of the most respected clubs at home and abroad featuring among the firm’s portfolio. They include Royal St George’s at Sandwich and the James Braid classic course at the Verulam Golf Club, Hertfordshire, that had been formally opened in 1912 by captain, Samuel Ryder. Abroad, John widened his reputation as one of the industry’s leading golf course construction engineers with works at Fureso Golf Club, near Copenhagen, Denmark, and the Colt designed La Mer Course, at Le Touquet. 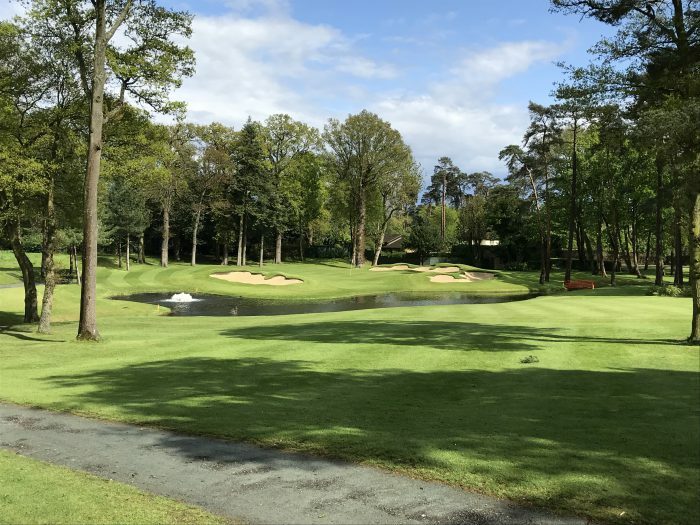 Among the most recent successes the remodeling and major upgrading of the famous 27-hole Harry Colt designed course at Stoke Park Country Club & Spa in Buckinghamshire bears testimony to John’s skills and attention to detail. In 2015, Stoke Park hired his company to commence a wholesale renovation programme designed to bring consistency to the course design. The overarching ambition was to create an environment desired by the modern day player, while maintaining the historical significance of the original lay out. John’s company commenced with a bunker repositioning and renovation programme starting with the Colt nine in 2016. Modifications to the Alison loop were finished in spring 2017 and the final stretch, the Lane Jackson, was completed over the following winter. The result was an outstanding success and brought accolades from the club, its members and visitors. Stoke Park director of golf, Stuart Collier, said when the project was completed: “We wanted consistency throughout; consistency of play, build, sand, and quality – and Greasley delivered on all counts. “What Greasley has achieved is to bring the course up to date while retaining all the qualities inherent in the original course. “From the moment we commissioned the firm, John Greasley Ltd was extremely professional, very accommodating and great to work with. The team was very adaptable – there was never an issue if we required something to be changed again after the initial work – and was always very positive and helpful. 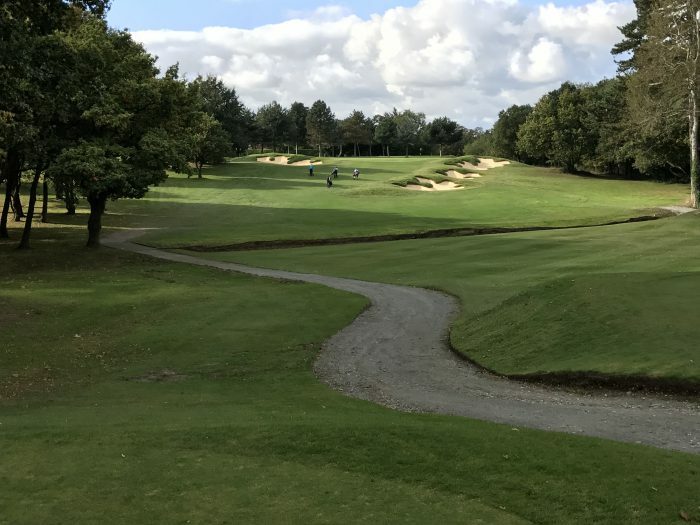 Elsewhere course architect John Gaunt praised John Greasley Ltd for the challenging work completed on a major flood defence system at Handsworth Golf Club. Never one to rest on his laurels, John steered the company forward, recognising the need to invest in new machinery and staff training to stay ahead of the game. Among the innovations to company embraced was the use of the revolutionary Rototilt tiltrotators. The first was acquired in 2016 and more followed as their versatility and cost effectiveness became apparent. The use of such cutting edge technology combined with a fully-trained workforce has ensured that John’s company gained almost unrivaled experience as one of the country’s leading contractors in the field. John was also among the first to put back into the industry that supported his business, becoming a partner of the European Institute of Golf Course Architects (EIGCA). Following the announcement of his passing EIGCA issued a statement acknowledging his contributions to the industry and lamenting his loss. 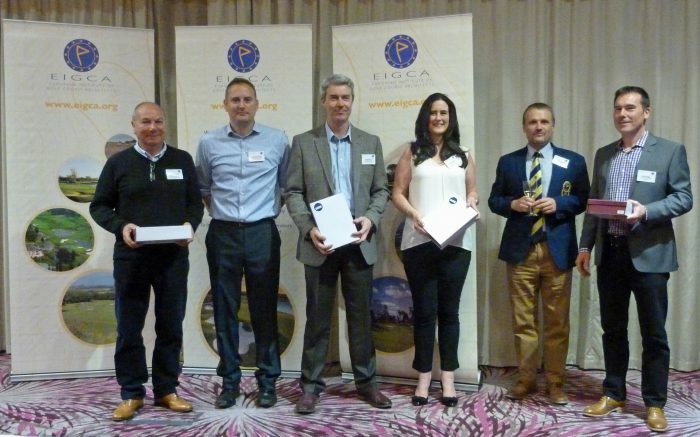 ‘Greasleys were one of the first partners of EIGCA and were recognised for 15 years of support at our annual meeting in Belfast in 2016. John was a very quiet and polite man, a true gentleman who was very well respected by everyone in the industry. He will be greatly missed,’ it read. 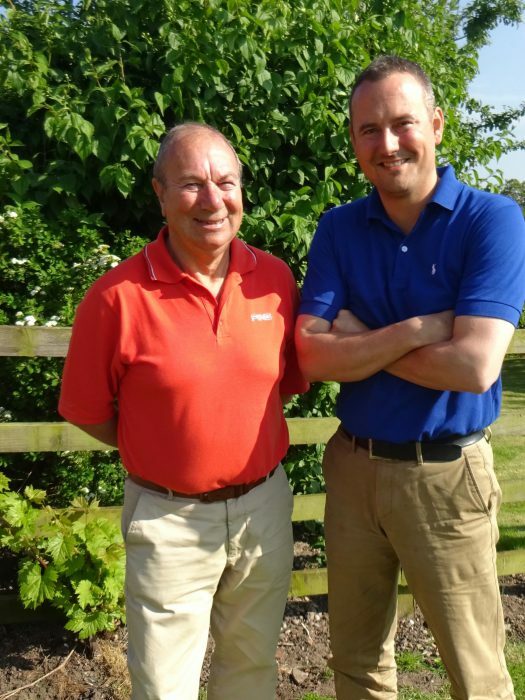 EIGCA past president Tom MacKenzie added: “When John Greasley’s son, Charlie, called to tell me that John had died, I realised what a loss that was to the golf design and construction business. I first worked with John in the mid-1990s and we worked together on projects from the mountains of Scotland to Denmark and Cyprus. All of them were done with John’s trademark efficiency and fairness. “I enjoyed dealing with John because he was so well organised and he did what he said. He expected the same from me too and I learnt a lot from him as a result. ‘I always greatly admired your dad for the way he balanced his professionalism and integrity as a contractor with his warmth and friendly manner as a person. ‘As a young architect, lacking in experience, he treated me with respect and was always helpful in providing advice when he realised I was outside my comfort zone. So sorry to hear of the loss of John. Poulton Park Golf Club have great memories of John and his company and a lasting legacy in the construction our short game area in 2007/8. it has helped many a new golfer learn to play, especially the next generation.